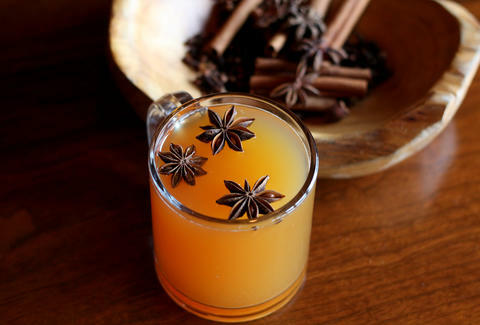 Good news for those prone to nightcaps and chronic congestion: hot toddies might actually be good for you after all! Like any miracle cure, there's still a catch... you can't drink too much. A recent article on VinePair praised bourbon's ability to naturally decongest all the crummy snot in your body, saying "the alcohol dilates the blood vessels, making it easier for your mucus membranes to deal with the infection." However, you should limit your intake to only one ounce of bourbon, as too much delicious whiskey can both dehydrate you and inflame the mucus membrane. Honey, the other vital ingredient in a hot toddy, also acts as a natural chest decongestant, according to a 2007 study which says some "parents rated honey most favorably for symptomatic relief of their child's nocturnal cough and sleep difficulty due to upper respiratory tract infection." On the other hand, too much of that isn't favorable either, as its chemical makeup is pretty damn close high-fructose corn syrup. Just goes to show you that too much (or too little) or anything will kill you [Ed. note: honey probably won't kill you outright]. In an ideal world, you should use bourbon for a hot toddy, but it's a little-known industry secret that the scotch hot toddy is just as delicious and will literally put chest hair on your chest hair [Ed. note: it won't put chest hair on your chest hair]. Try mixing The Famous Grouse with Owl's Brew and bitters. It's fire. Not literally. Or you could just drink NyQuil. QUITTER. Jeremy Glass is a news writer for Thrillist and drinks a warm mug of NyQuil every day before work.